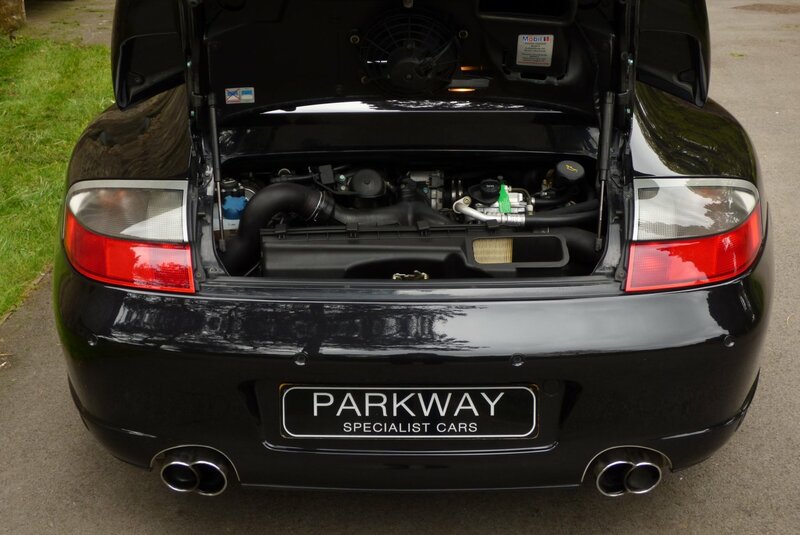 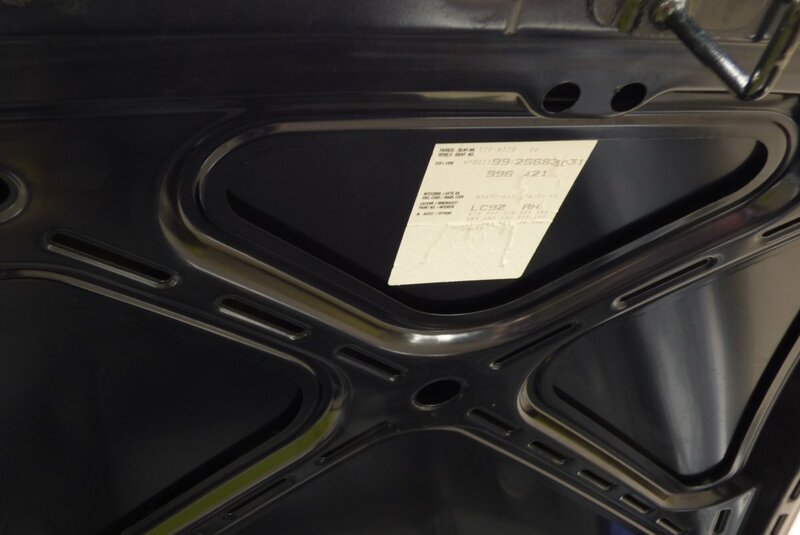 At The Cars Debut, The 996 Featured The Most Significant Change From The Classic 911 Series, This Was The Controversial Water Cooled Engine, Which Replaced The Previously Air Cooled Unit. 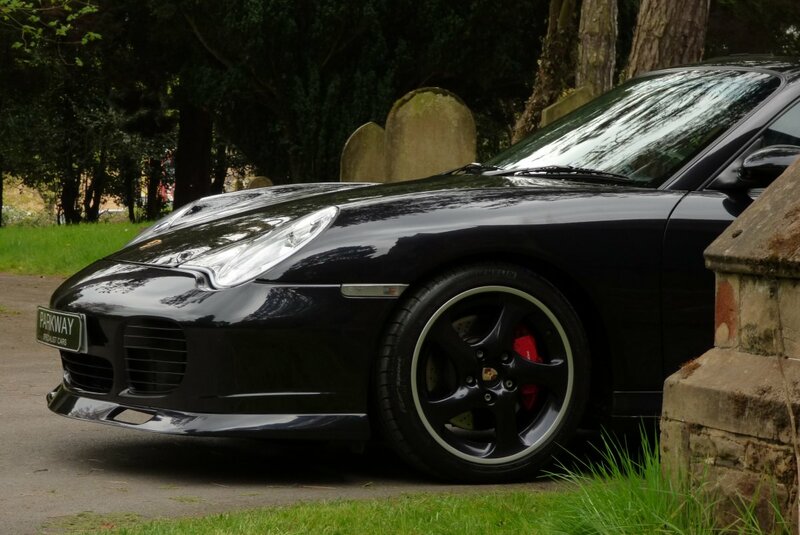 The 996 Turbo Was Introduced At The Frankfurt Motor Show In September 1999, With The Production To Start In 2000 And Since This Point A True Legend Was Born. 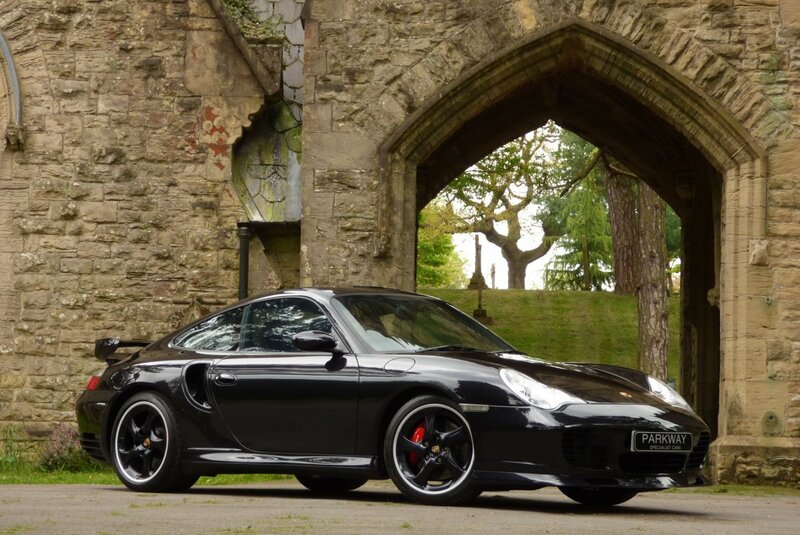 The Then New 996 Turbo Offered Genuine Supercar Performance In A Compact, But Surprisingly Practical Package And Unlike The Early Infamous Turbo 911`s, The 996 Version Became A Different Sort Of Animal, With Four Wheel Drive, A Smooth New Body Shell And A Radical Updated Cabin. 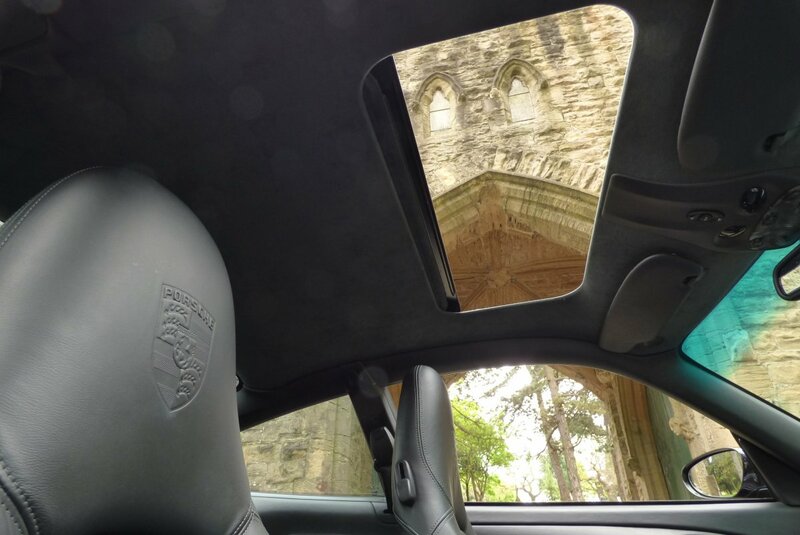 Powerful Sophistication Was Porsche`s Main Goal. 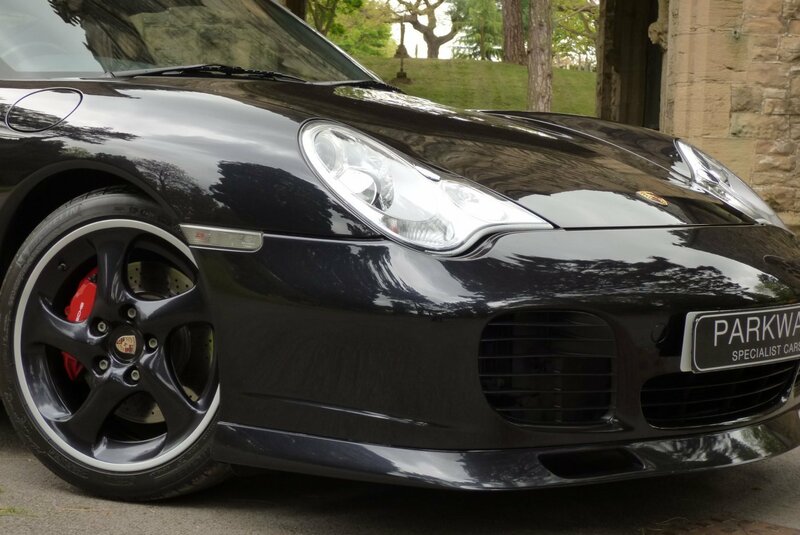 The 996 Turbo, Like All The Other 911 Turbo Cars Of The Past, Have Instantly Fallen Into The Collectable Classic Porsche Title. 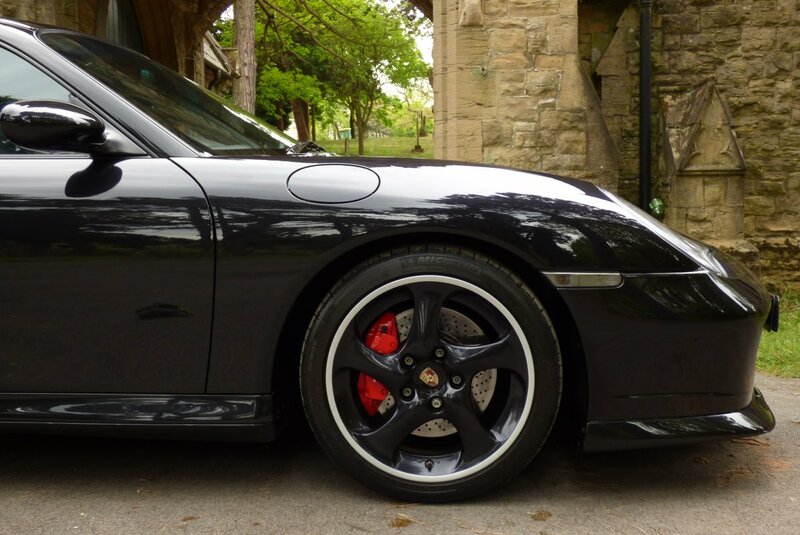 With A New Breed Of Enthusiast Owners Wanting To Own Their Very Own Piece Of Stuttgart Motoring History And With The Dramatic Climb Of The 993 Turbo Values, Who Can Blame Them On Jumping Aboard That Happy Band Wagon. The Power Offered From The Trouble Free Mezger Engine Is Astonishing And Even With The Age Of This Model, It Can Still Delight And Exhilarate. 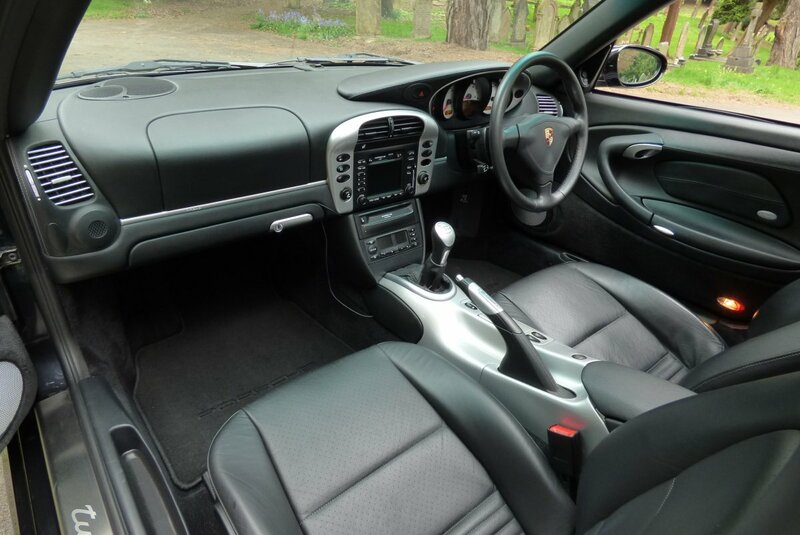 Porsche Also Offered The Option Of The X50 Performance Package, However At The Time Of Build This Was Hugely Expensive, With Many Clients Not Thinking That The Extra Brake Horse Power Increase To 450 BHP Could Be Justified. 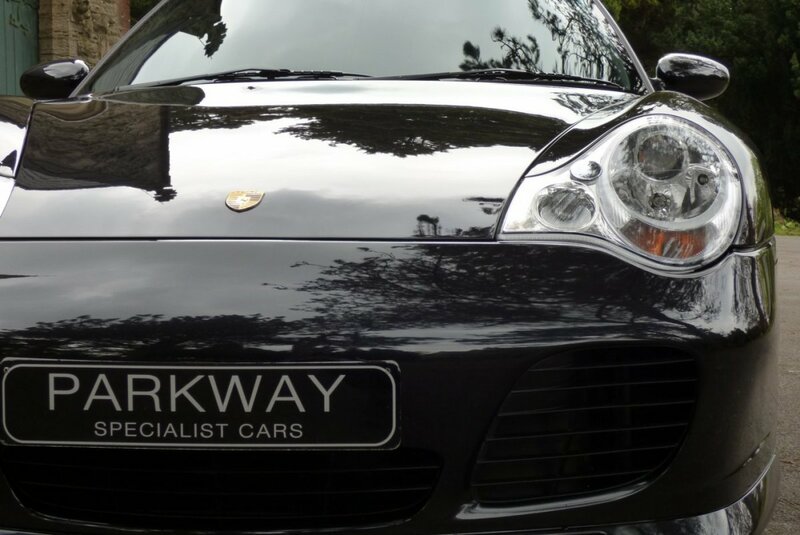 Today This Rare Option Is Highly Attractive, With Many Collectors Wanting This As Part Of Their Investment, But Numbers Are Few And Far Between. 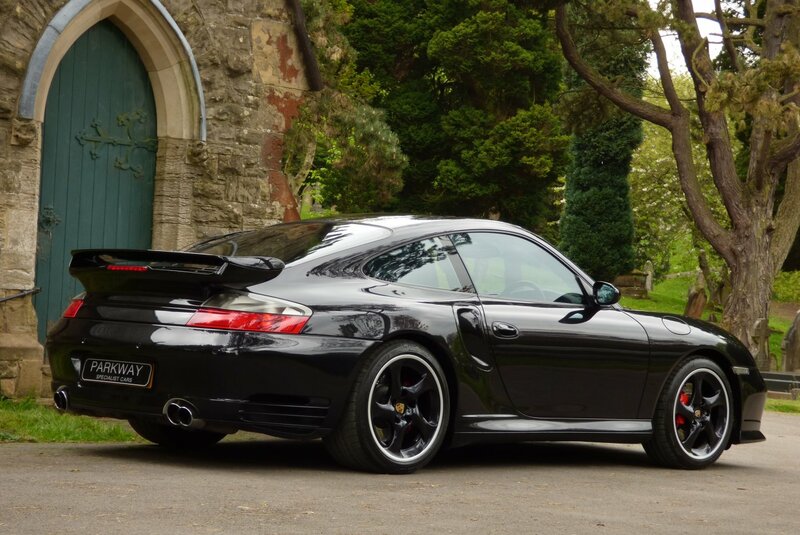 This Exceptional Four Keeper Car, Not Only Has Incredible Low Mileage, Fantastic High Build Specification, But Also Has Been Maintained To The Highest Of Standards With A Full OPC Porsche Past Service Inventory With Visits Logged At 5928, 10488, 12808, 14612, 19700, 20598, 22521, 24057 & 25289 Miles, With The Last Being A Major Service With Spark Plug Renewal & Brake Fluid Change Completed By Porsche Centre Sheffield In September 2016. 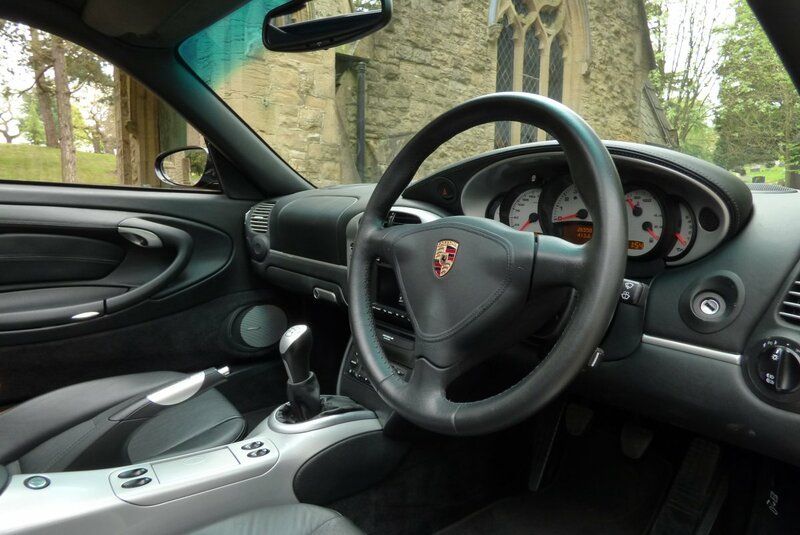 Further More The New Custodian Will Be Presented With An Extensive Historical Invoice File, A Full Factory Build Card And Past MOT History Sheets, Which Will Keep The Excellent Provenance Firmly In Place. 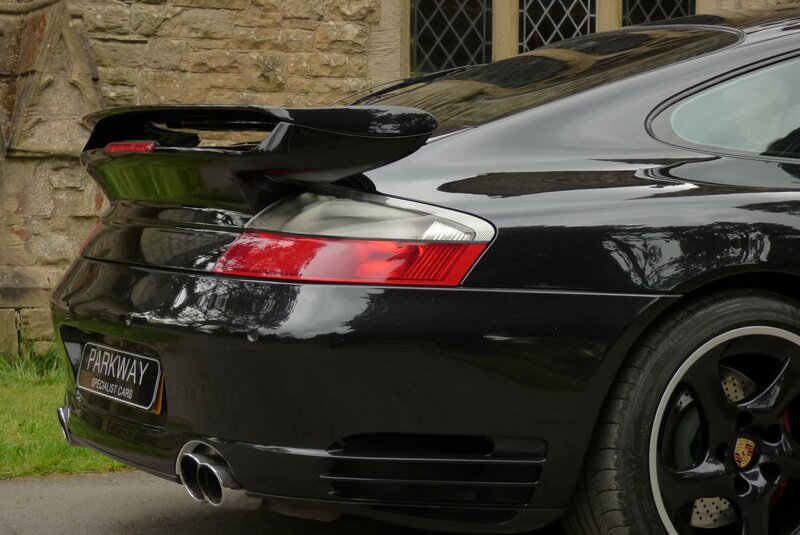 The 996 Turbo X50, The Ultimate Stuttgart Modern Day Classic. 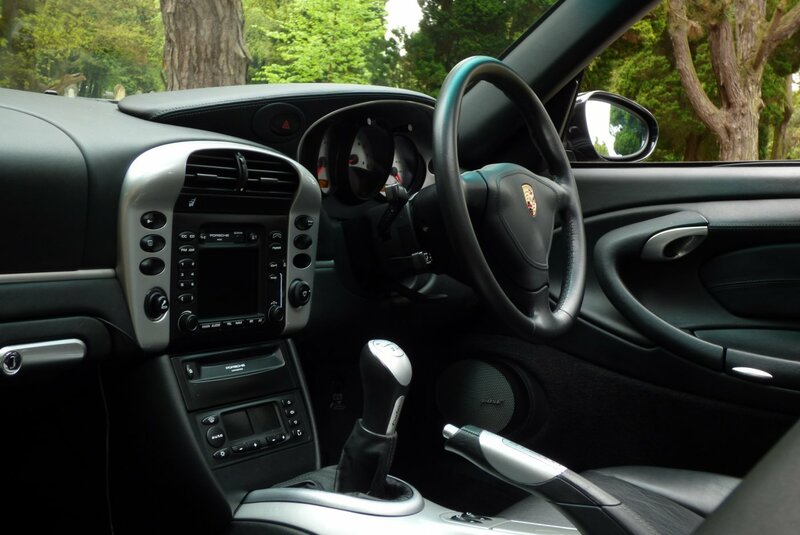 The Cabin Space Is Typically German, With Every Element And Detail Correctly Positioned Ready For That Exhilarating Drive, But At The Same Point An Effortless Affair For The Driver. 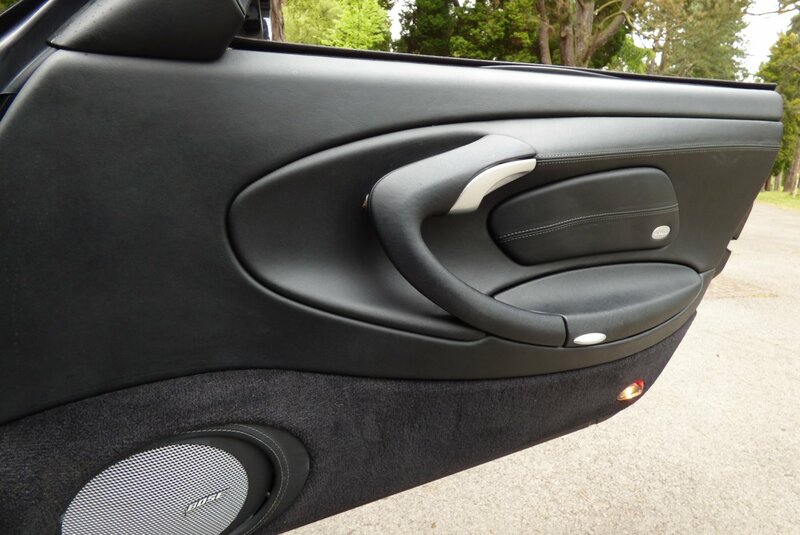 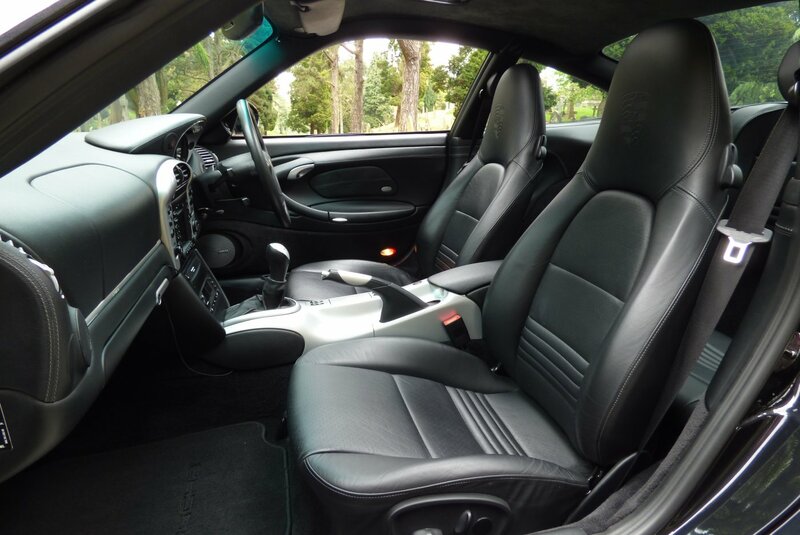 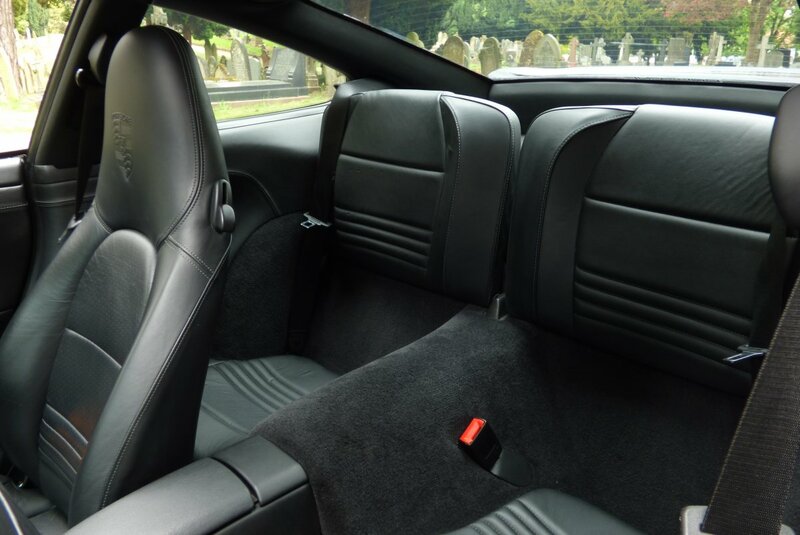 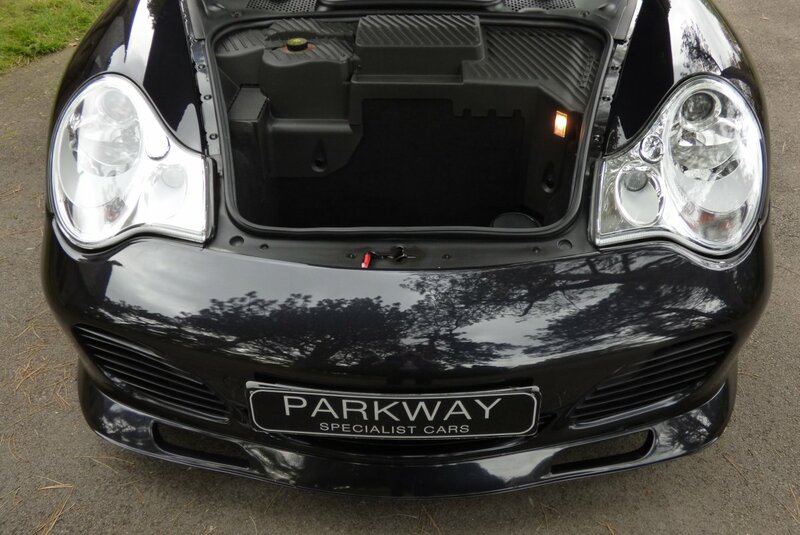 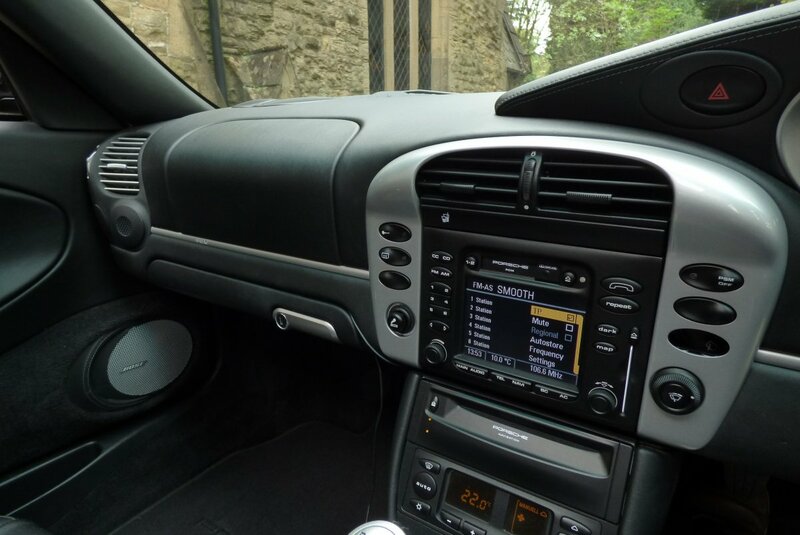 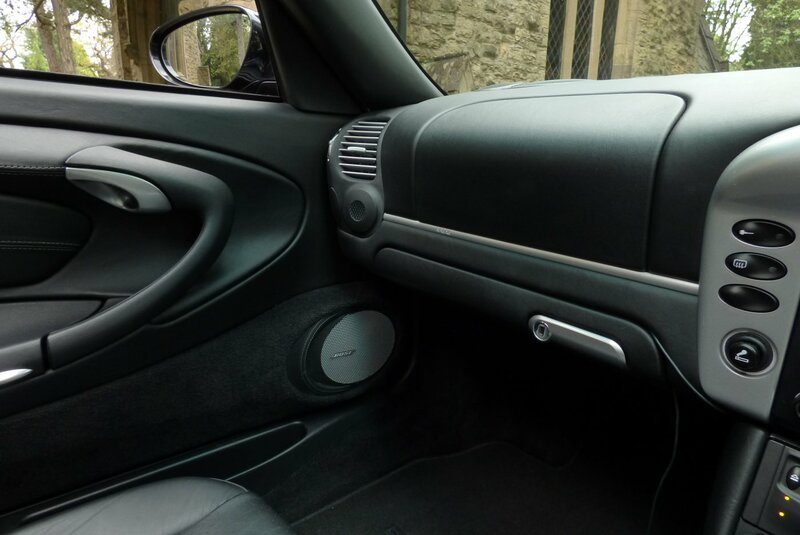 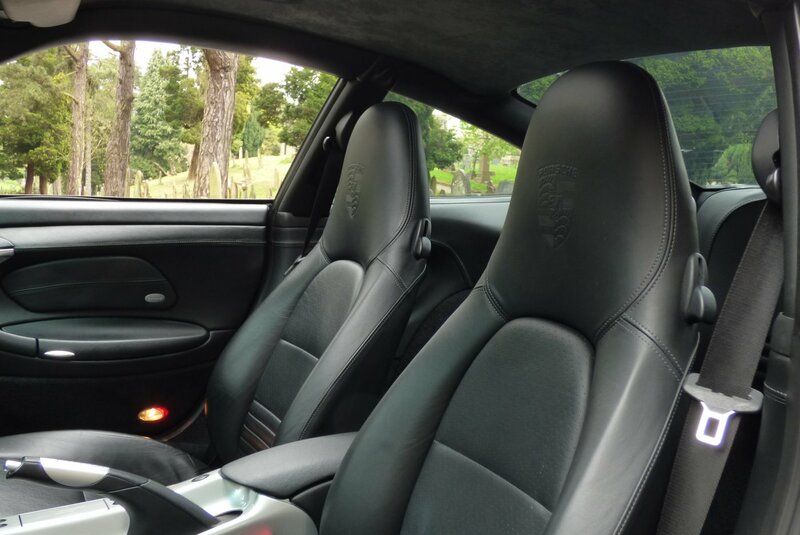 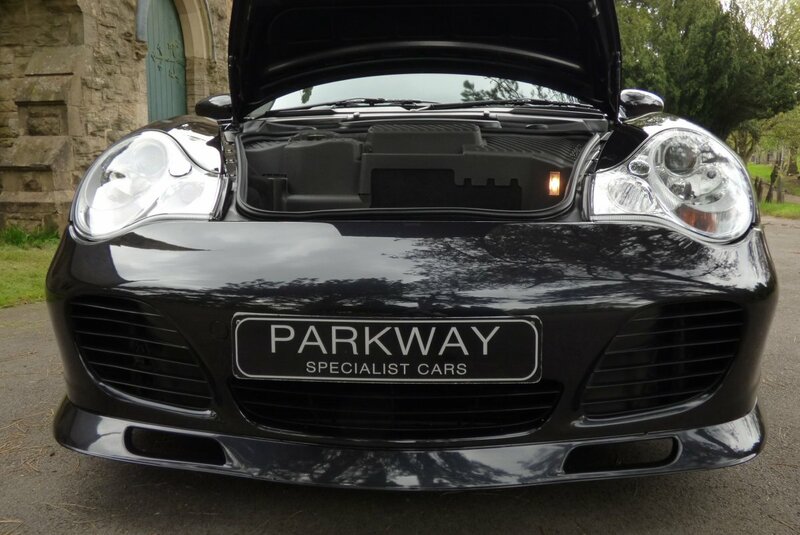 This Car Is Presented With Porsche Crested Black Leather Sport Seats Delicately Detailed With Contrast Grey Twin Needle Stitchwork, A Black Leather Dash, Black Suede Roof Lining, Black Carpets And Decorated With The Aluminium Look Internal Inlays. 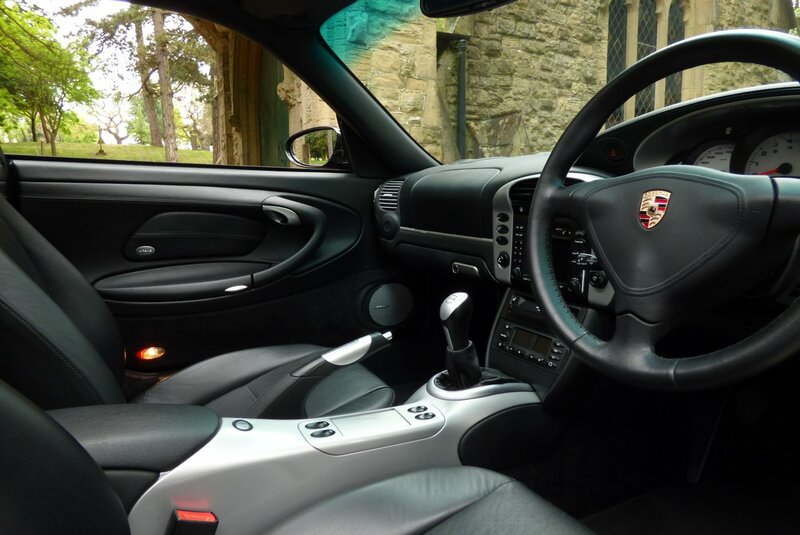 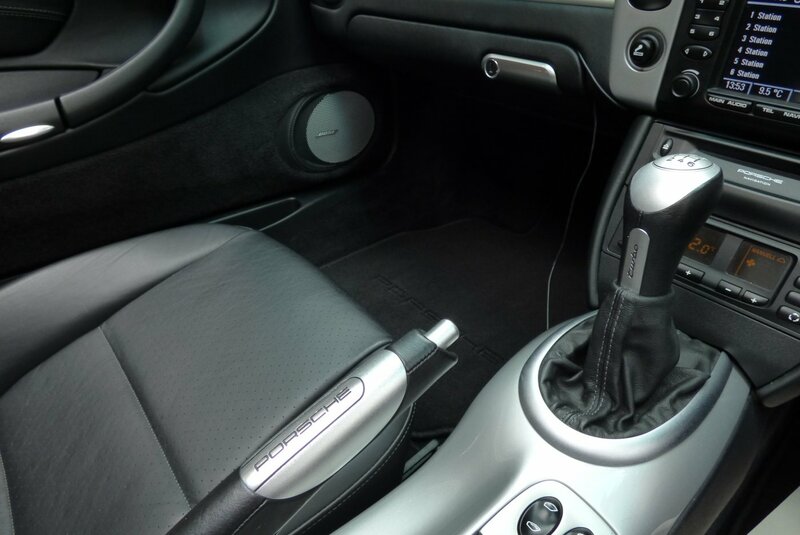 Further Turbo Signature Detailing Will Come In The Form Of The Porsche Embossed Aluminium Hand Brake Lever, The Turbo Door Sill Kick Plates And The Aluminium Turbo Embossed Gear Shift, Which Will Add To The Extreme Drama Offered By This Delightful Cabin Space. 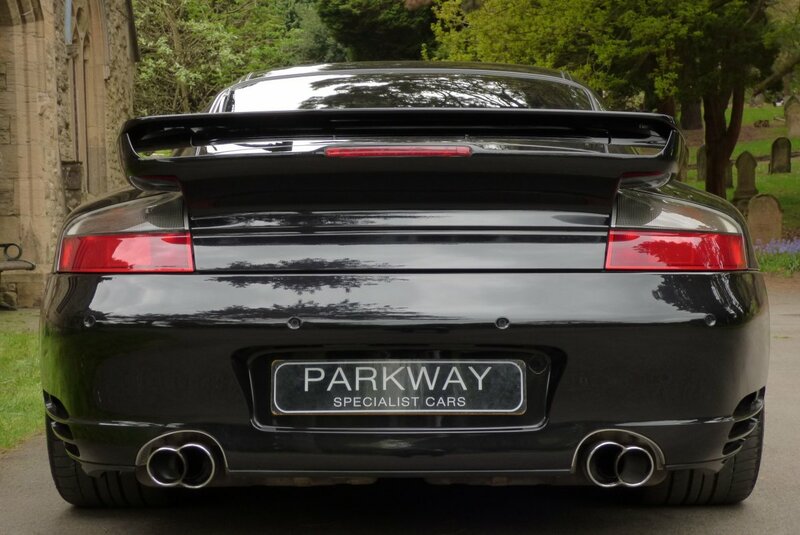 The Appearance Of The 996 Turbo Is Highly Distinctive, With Subtle Side Turbo Air Vents And The Hydraulically Raised Rear Spoiler, Teamed With Further Signature Factory Details, Which Makes No Mistakes To What The Car Is. 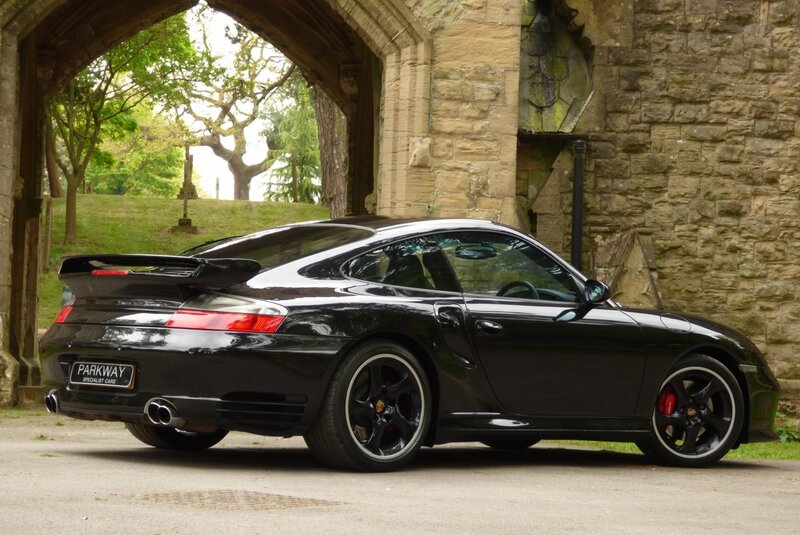 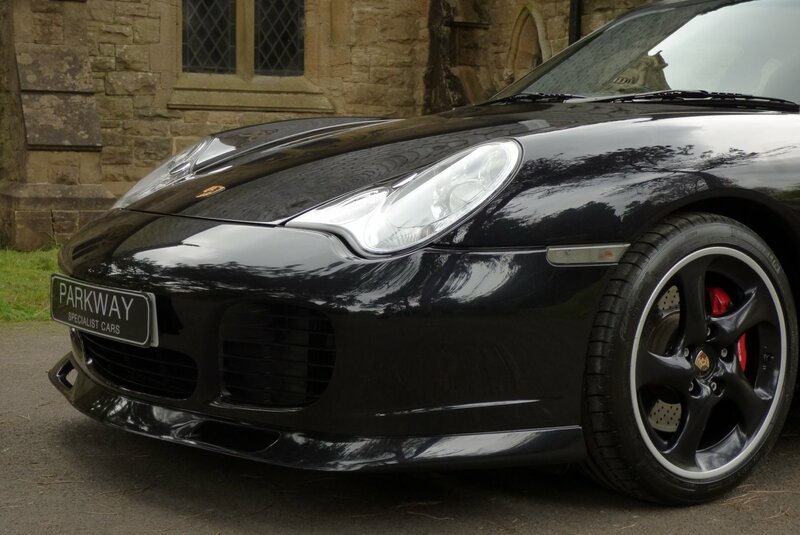 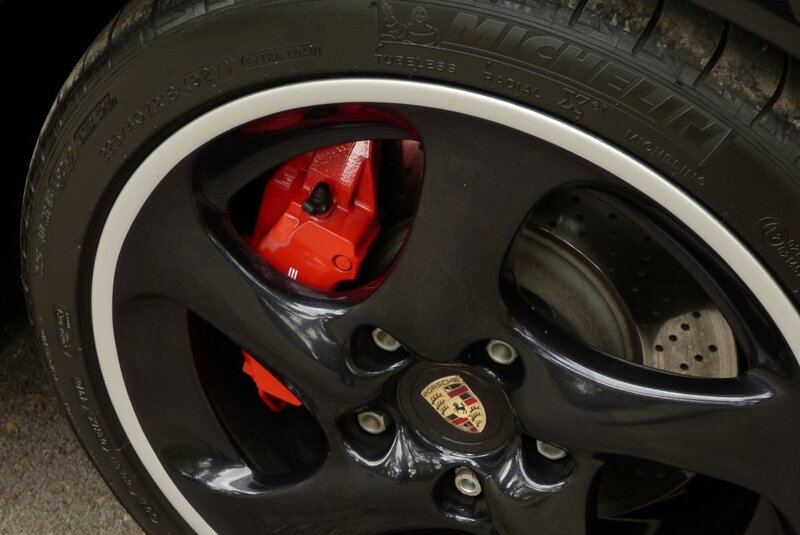 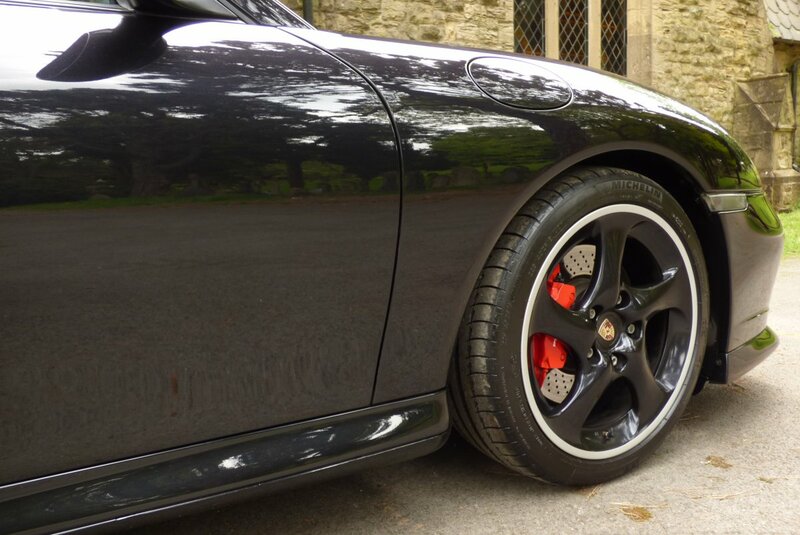 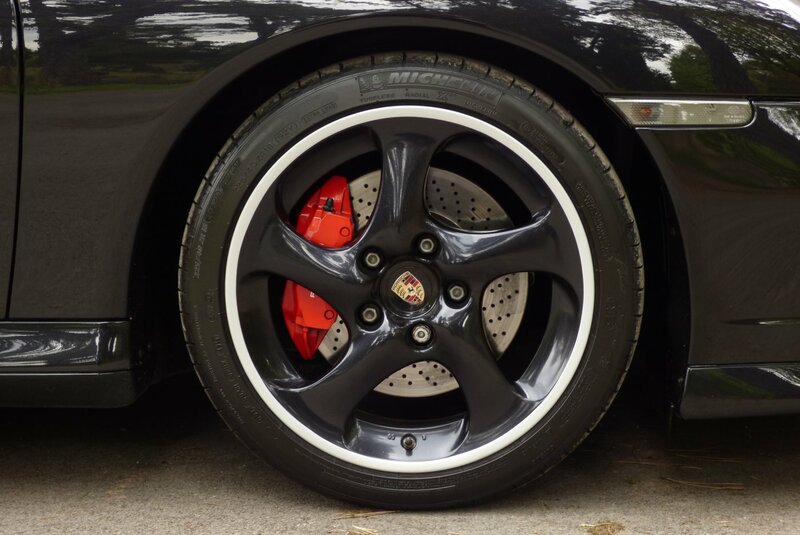 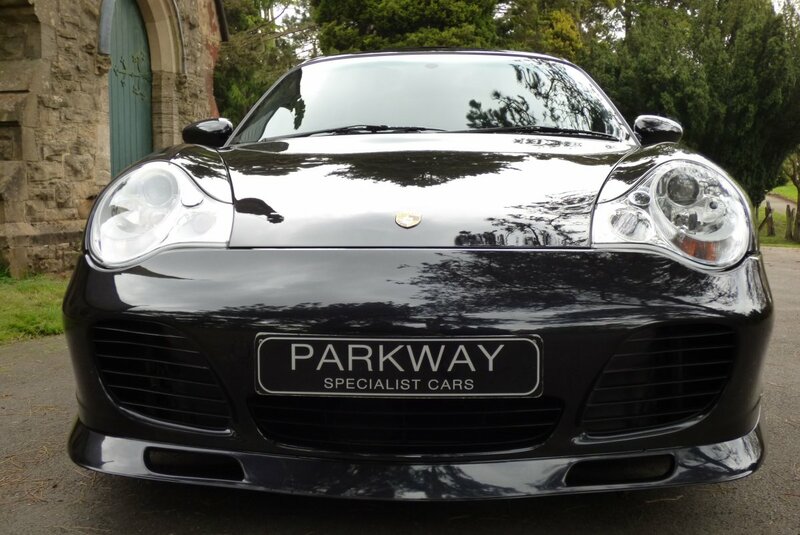 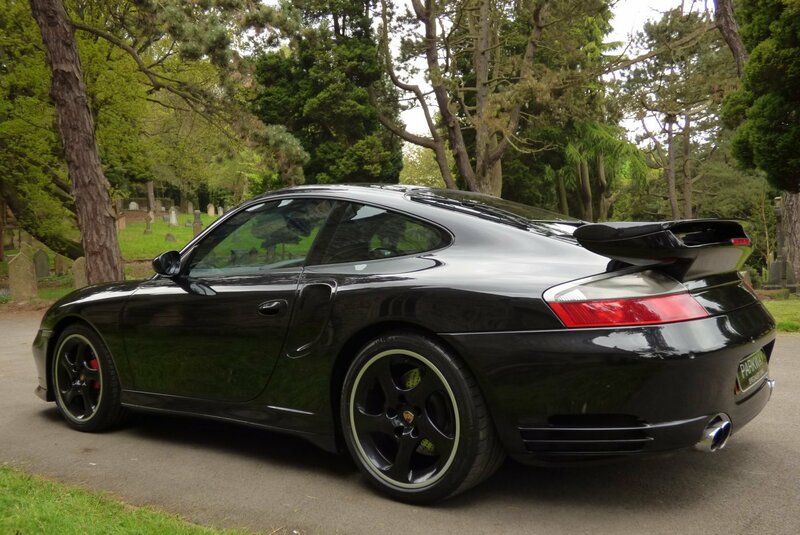 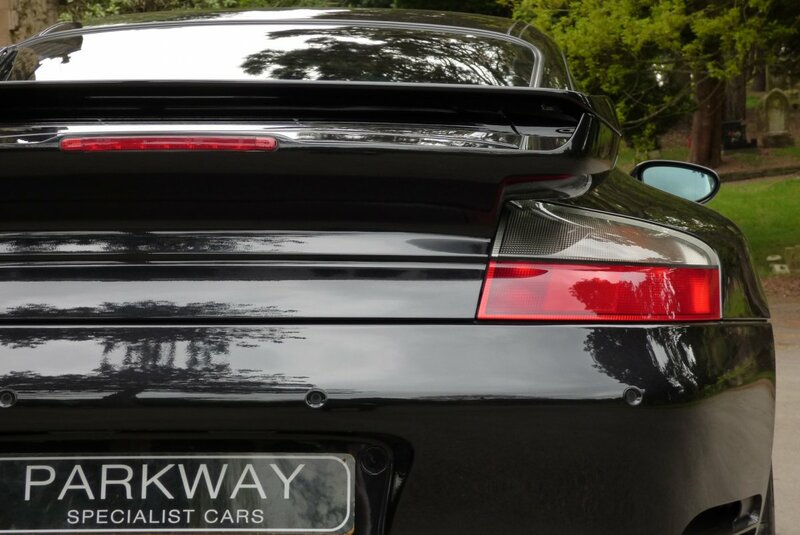 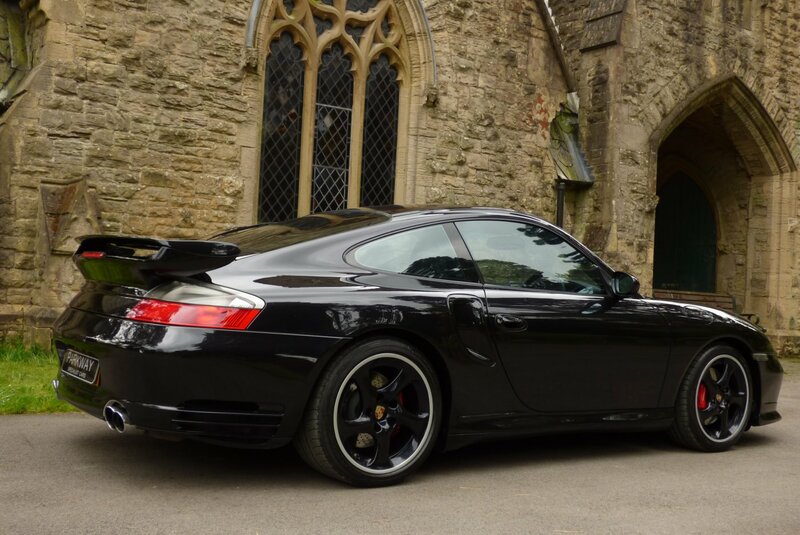 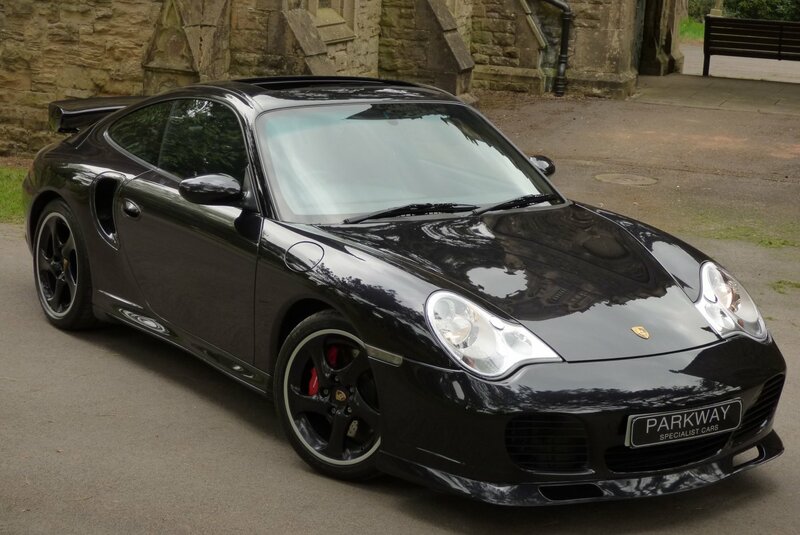 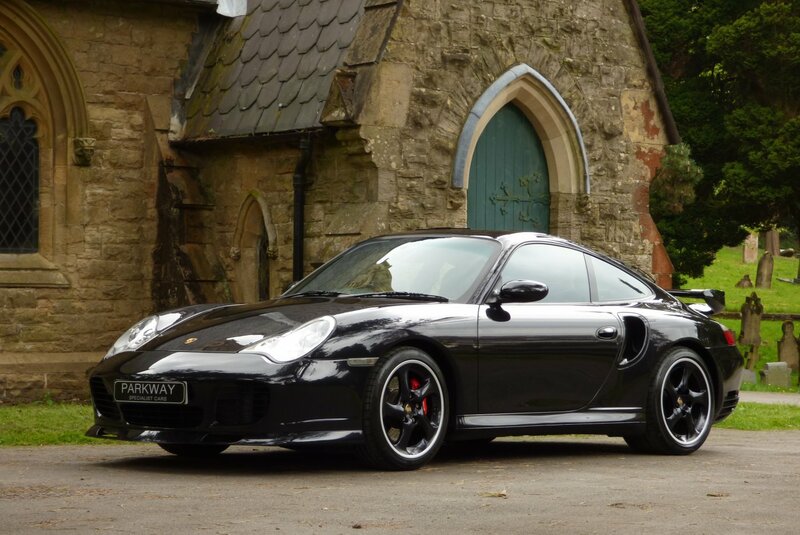 This Example Is Offered In The Basalt Black Metallic, Which Perfectly Demonstrates The Powerful Body Lines And Dramatic Curves, With Further Factory Details To Include The Expensive Porsche Aero Package, The Factory Finish Body Coloured 18" Five Arm Turbo Alloy Wheels And The Red Porsche Embossed Brake Calipers. High Factory Options Include The Full Colour Information Screen With Satellite Navigation, The Porsche Factory Fitted Aero Package, Bose Speaker Sound Pack, Electric Front Seats With Driver Memory Settings, Electric Sunroof, Porsche Trip Computer, The Porsche/Dolby Head Unit With Retro Cassette Function, Rear Distance Park Control, Unmarked Factory Body Coloured 18" Turbo Alloy Wheels Which All Sit On Branded Tyres, Cruise Control, Three Spoke Leather Bound Steering Wheel, The Porsche Trip Computer, Red Embossed Brake Calipers, The Chromed Twin Oval Exhaust Tips, The Expensive And Rare X50 Performance Package, Aluminium Dials, Sun Protection Privacy Glass, Rear Wash Wipe, PCM System, Remote Central Locking With Alarm And Vehicle Tracking Preparation, Electric Windows & Mirrors And So Much More. 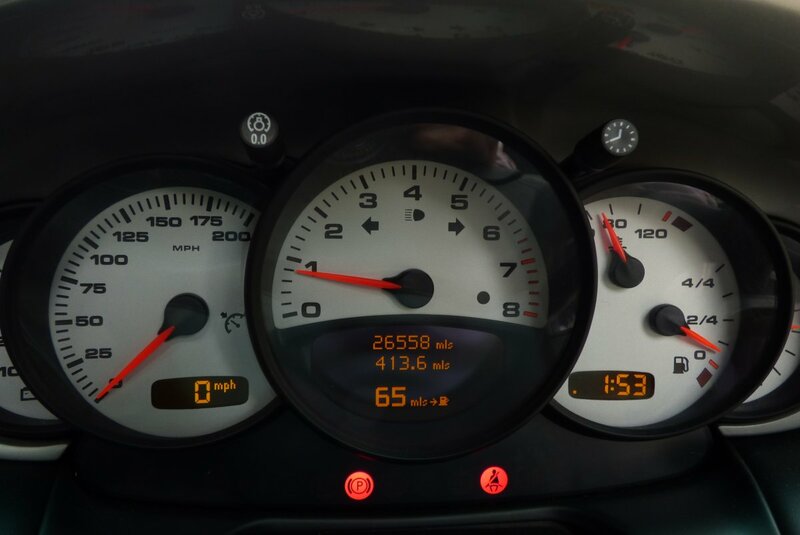 The Car Also Has The Entire Booklet Pack Set, A Full Key Set And Is Fully Hpi Cleared.  Every Desirable Option Required And Included.